The Hyperloop One transport company has been renamed Virgin Hyperloop One, following a major investment from Richard Branson's company. The exact investment figure invested by Virgin has not been revealed, but last month Hyperloop One said it had received an additional $85 million (approximately £64 million) through fundraising. The fresh investment brings the company's total funding to $245 million (approximately £184.5 million). 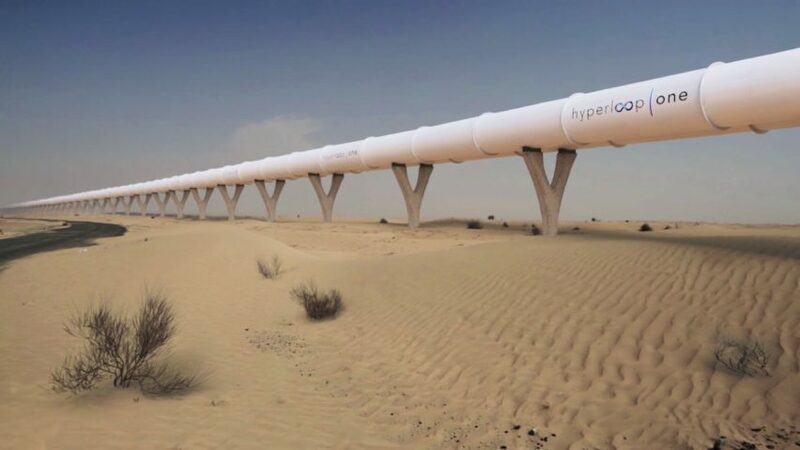 Virgin Hyperloop One has reportedly now been valued at $700 million (approximately £527 million). As a result, Branson has been added to the board of directors for the LA-based organisation, which was founded three years ago. "This is an incredibly innovative and exciting new way to move people and things at airline speeds on the ground," said Virgin in a statement. "Ever since our creation, Virgin has been known for disruption and investing in innovative companies. From our airlines to our trains to our spaceline, we have long been passionate about innovation in transport too, especially the development of technology that could transform people’s lives. This is just the latest example." The all-electric Hyperloop system would see passengers and cargo loaded into an 8.7-metre-long pod, which gradually accelerates via electric propulsion through a low-pressure tube. The pod's wheels retract as the magnetic levitation takes over. Hovering above the track, the 3.3-metre-diameter pods would be able to travel at airline speeds for long distances due to ultra-low aerodynamic drag. The Virgin Hyperloop One team carried out its first successful trial using full-scale Hyperloop passenger pods earlier this year, at its 500-metre DevLoop test site in Nevada. The test saw the pod reach a speed of 190 miles per hour (305 kilometres per hour) in about five seconds, before safely coming to a stop. Since then, Virgin reports that the duration of the longest test has been 10.6 seconds, with the top speed of 192 miles per hour (310 kilometres per hour) – or 86 metres per second. The maximum distance travelled has been 436 metres. Branson's investment will fund "cutting-edge engineering"
"Earlier this summer I was fortunate to visit the site and see first-hand the exciting technology being tested," said Branson. "I was very impressed and now look forward to helping turn this cutting-edge engineering into a global passenger service." Following the test, the technology is currently in the early stages of the commercialisation phase. The Hyperloop One team estimates that the top speed for a passenger vehicle or light cargo will be 670 miles per hour or 1080 kilometres per hour. That is two to three times faster than high-speed rail and magnetic levitation trains, and 10 to 15 times faster than traditional rail. Projected journey times in the UK include Edinburgh to London in 50 minutes. It has also been working with Bjarke Ingels Group on the infrastructure design for a Hyperloop in the United Arab Emirates, the plans for which it unveiled in November. The system is intended to connect Dubai and Abu Dhabi in just 12 minutes. Hyperloop is the vision of entrepreneur Elon Musk, the founder of Tesla, PayPal and space exploration company SpaceX. Musk, who first unveiled the concept for Hyperloop in 2013, later open-sourced the technology and is no longer directly involved in its development. Virgin Hyperloop One is just one of a number of companies racing to create the first Hyperloop.